Loss of oil pressure due to worn components in critical oil circuit. 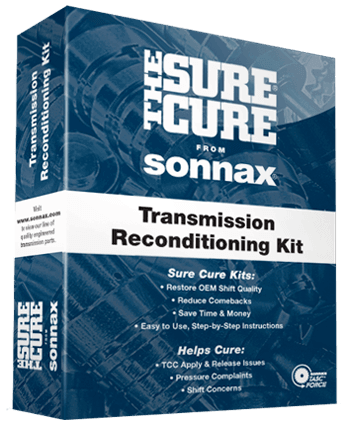 Sonnax Sure Cure Kit repairs pressure regulator and boost line pressure. Verify application since boost valve kit 95200-03K included in this kit (SC-TAAT) is for Type II valve bodies only and cannot be installed in or used to update the earlier Type I design. All other components in this kit can be installed in either Type I or II units. Sonnax Sure Cure Kit SC-TAAT is fully compatible with Saturn TAAT Type II valve bodies.